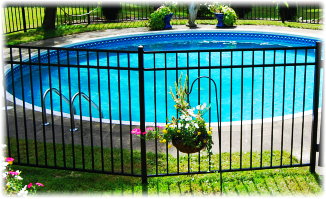 Home Series aluminum fence provides unmatched beauty and durability to any backyard or outdoor space. 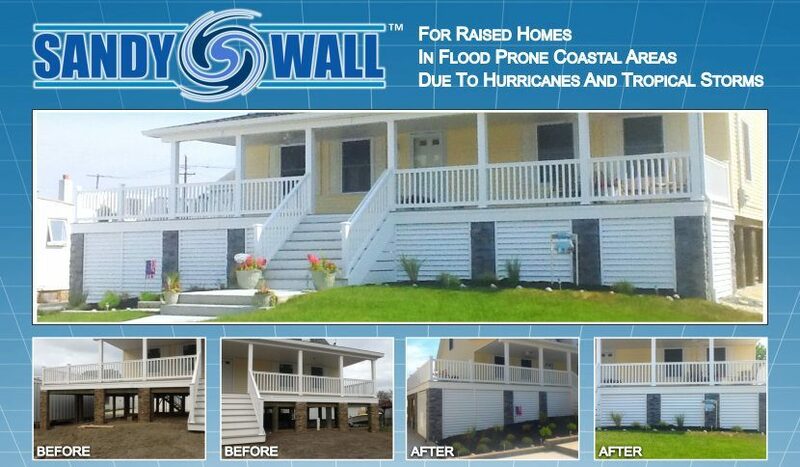 *Some modifications to panels may be required. 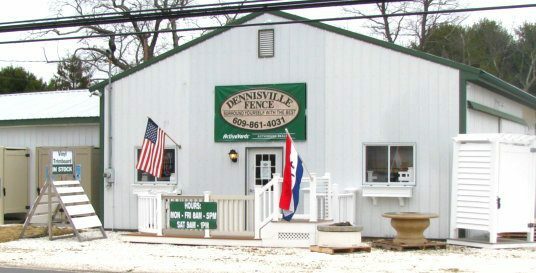 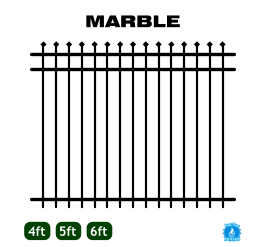 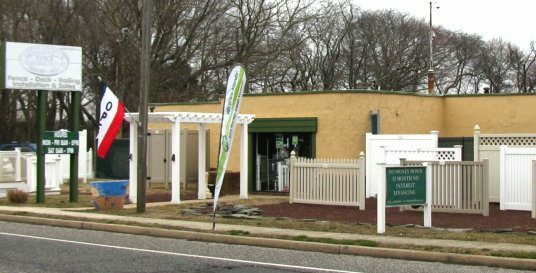 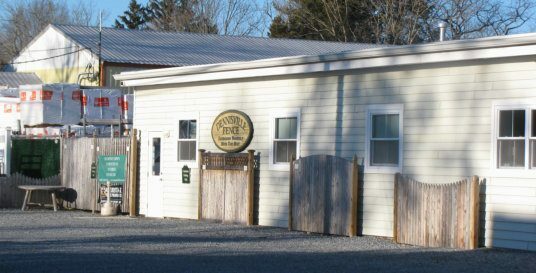 The aluminum fence styles shown on this page are available in 3ft, 4ft, 5ft, and 6ft heights. Not all heights are available for all aluminum fence styles. 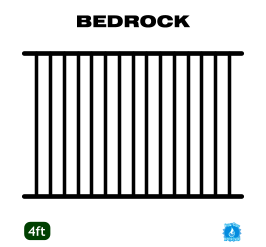 Individual styles are shown with corresponding available heights. 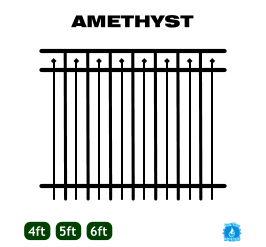 All aluminum fence styles shown are available in your choice of four colors. 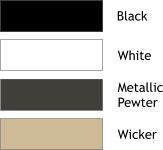 Choose from black, white, metallic pewter, and wicker. 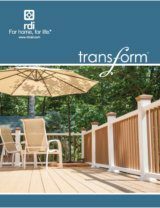 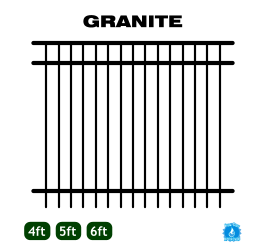 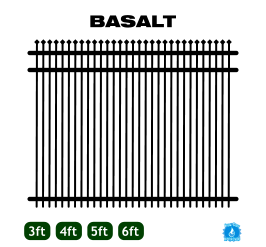 Fence styles with this image and available heights shown in blue meet or exceed pool code requirements.